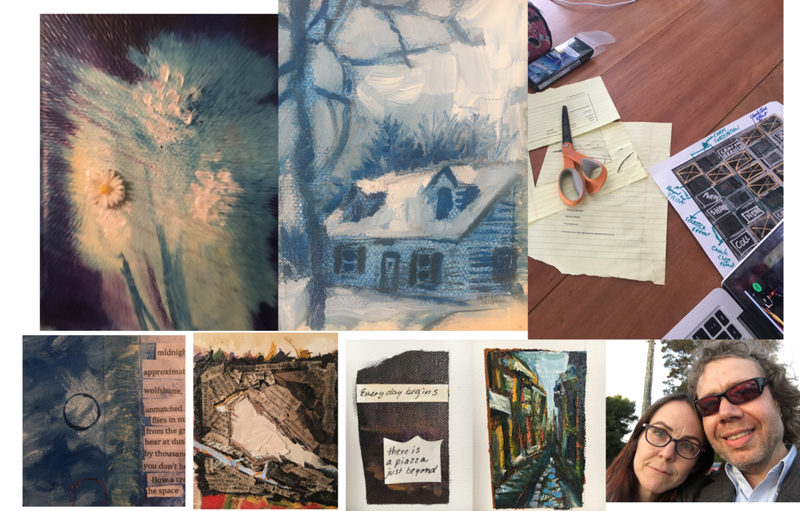 For the Month of Sundays, we set out to measure through collaborative art the joined experience of a collection that had merely been an anecdote to us. Just exactly how long does a month of Sundays feel like? And what would it be like to work together every Sunday, for a month or thirty Sundays? For thirty Sundays, we decided to sit together in front of the picture window in our house and record our experience of the backyard. Would we grow so tired of our repeated subject that we’d abandon the project? Would we abandon realism or the urge to record and describe for something else? Along the course of the project, we realized that Sara had much to say about her role in the collaboration as a poet.